As people become experts at anything, a number of changes occur. These changes are both physical and mental, resulting in the automation of skills and changes in the way we view our area of interest or domain. This process occurs in every field of expertise, including learning how to be a good shotgun competitor. This is not an easy journey. While the individual skills are readily taught to almost anyone, the whole thing requires change and a lot of work before you can call yourself an expert. The work has to be focused and layered. In other words, you have to do the work in a logical order, and you have to pay attention to what you are doing if you want to be successful. 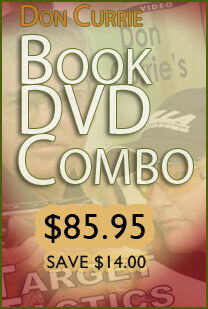 The results for shotgun shooters are the ability to hit targets on a regular basis and be competitive in some way. This is a well-known pathway, so we know a lot about it. It doesn’t work out the same for everyone, however. Not all of us will become top guns in our matches, but we are able to exceed talent levels and often our own expectations if we put in the work and expand beyond our talent. It takes time and practice to achieve these levels and, for those who do, there are rewards. Unfortunately, there can also be problems. The changes that occur as we become experts are often very specific. In shotgun shooting, for example, at the highest levels there are skills particular to each game which enhance the performance of that game but not similar games. This super-fine tuning is needed as a shooter’s performance approaches perfect scores, and the shooter focuses on that result. That focus, in turn, narrows the scope of the domain, making it richer and more able to cope with the game at hand. As you progress towards mastery, anything not related to the goal becomes noise. What this means for the advanced shooter is there are details that count not even thought about in the novice and intermediate years. The better you are, the more detailed you become. Such attention to detail and depth of commitment to a domain does make a person more vulnerable to the effects of chronic stress and overwork. Climbing up the learning curve is a lot of hard work. There is a period when the skills become automated and the knowledge needed to succeed is more available, so people start to see an increased rate of improvement. At the end of this time, a shooter often reaches a plateau and finds it much harder to advance. This happens because we start to bump up against the limits of our game of choice, and a host of issues become apparent. The first one is just the amount of work needed to go past the initial expert stage. The tasks needed to become an expert — learning to shoot, learning the game, learning about competition — requires a lot of hard work and repetition, but it is pretty linear. By this I mean the apparent amount of work you put in yields a corresponding improvement. Once you reach the expert plateau, the expectation is there will be a similar improvement if you just put in a little more work. It doesn’t work that way. Instead, the amount of work becomes exponential, which is a fancy way of saying the amount of work seems to double with every step you take. Back at the turn of the last century, an engineer named Pareto figured out the math showing how much work is involved as we get closer to perfection. In cases of high levels of talent, focused work and the right environment, the learning curve gets close to perfection but never reaches it. The amount of work often exceeds the ability of the shooter to achieve the goal of perfection, and this is seen by the distribution of scores and classes in our sports.There are a few at the top, a small number at the bottom — most of them move up after a while — and a whole lot of us in the middle. This distribution reflects a number of factors, including time you can devote to practice, talent levels and how well you have learned the skills needed to shoot well. For a variety of reasons, many of us are on a performance plateau and having a hard time getting off it. The first of these reasons is pretty obvious. We don’t have time to devote to pushing against the amount of work needed to improve. Basically, we have reached terminal velocity, so the amount of horsepower we have will not be enough. Most of the time, while the desire to improve is there, we know it won’t happen, so we accept it and work within the class to improve incrementally doing as well as we can. Target shooting is inherently fun, and we keep it that way. This is an important issue, as we shall see. The next group at a plateau has a different set of problems. For them, the desire to improve is very strong, sometimes to the point shooting targets is no longer fun. Instead, it is very stressful. I’m not talking about match stress, but the kind of stress that is either environmental or personal. This is the kind of stress that leads to burnout. Burnout is a psychological state in which a person starts to feel emotionally exhausted and has a negative feeling towards their field of interest. This leads to a tendency to evaluate oneself in a negative fashion with subsequent decreased expectations and poor performance. For anyone who is in early burnout, the fun factor is gone. Burnout is a real problem for anyone who works with people or has high levels of stress. It is thought chronic stress has a role in burnout, and that this stress goes unnoticed by those who are dedicated to their work until it is too late to prevent burnout. For example, according to a number of surveys, over half of physicians have suffered from burnout to the point they are not as effective as they can be and patients can be affected. These studies have identified some of the causes of burnout, a few of which are present in the lives of competitive shooters. Most of us are not going to show signs of burnout the way that is described in the doctor studies, but it is an incremental state that can cause problems. I’d say virtually every competitive shooter who has been around for a while enjoys shooting and enjoys going to matches. The reasons are many, but the social aspects of the shoots are important as is the satisfaction of hitting moving targets. For most of us, a shoot is in the present and, when it is over, quickly forgotten until the next time. The exceptions are the major matches we might go to, especially if we have a chance to win. But even then other factors can make a losing match fun. Fun is the key to determining if burnout is present. A Mayo clinic study of doctors found as a group, physicians agreed burnout was a problem, but they didn’t see it happening to them or their organization when the signs are all there. That’s because early burnout is sneaky and hard to spot. The studies show burnout will occur if there is no chance of positive feedback, if there are interfering factors that keep you from focusing on your goals (paperwork/electronic records is a big culprit) or if there is an atmosphere of chronic stress due to impossible expectations from others. Not setting limits is another contributing factor. Mostly it is a combination of smaller issues that build up over time. These things can happen in your life outside of shooting and can carry over when you are competing or practicing. As a result, a shooter can have all sorts of things happening that can cause the beginnings of burnout. Burnout shows up when you try to shoot in a match, and you realize it is no longer fun to compete. As I mentioned above, the first clue is lack of enjoyment. If this is happening to you, it is time to assess what is going on. Shooters continue to shoot in matches because they have passion. That passion drives shooters to try and improve as much as possible. While this is usually not a cause for burnout, it makes us more vulnerable to the effects of burnout due to being close to the limit of the stress of achievement. It is very important to be able to shoot and, while this may seem non-logical, it is the basis of our interest in the sports we love. Anything that interferes will have a negative effect and, if there are a number of these, it can affect you in subtle ways that decrease performance. The difficulty is none of us are so isolated that we don’t have stress from outside sources. The good news is even at the beginning of burnout, that not having fun part, there are good ways to combat it. One very effective yet simple way is Three Good Things. Three Good Things is a technique that came out of a movement called Positive Psychology. Positive Psychology opines thinking happy thoughts will be beneficial (this is a very simple way of explaining it). It garnered a lot of attention when a number of excellent studies showed specific applications of this idea are capable of changing how people felt and functioned. Three Good Ideas is one of those methods that shows good results in burnout. The technique is simple: Every day, for two weeks minimum, write down three things that were happy events for you. (It is very important you write these things down, it affects a different part of the brain and fortifies the feelings.) These can be things of little consequence but felt good to you. Write down how it made you feel and identify the good feeling for each one separately. That’s it. While this sounds too simple to be effective, the studies are very clear. This focus on good things changes the way we view life in general. For early burnout, it decreases the effects of stress and promotes automatic positive thinking. Shooters have seen how simply enjoying themselves works. 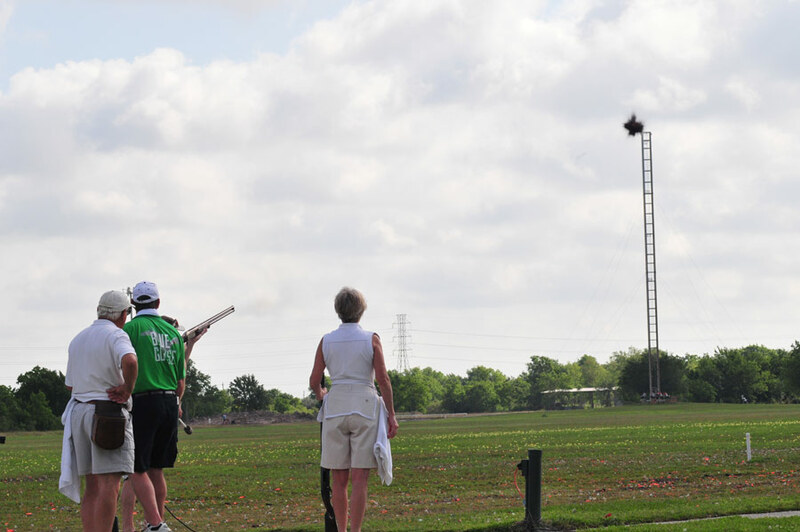 It is very common for someone to shoot a round of another shotgun sport and not only do well, but enjoy the outing even when there appears to be stress in the game of choice. After all, they do have the skills needed to hit a target, they just don’t have the stressors needed to achieve perfection. Just doing well is a reward even though the same approximate stressors are there.